Welcome to BestBackup.site. 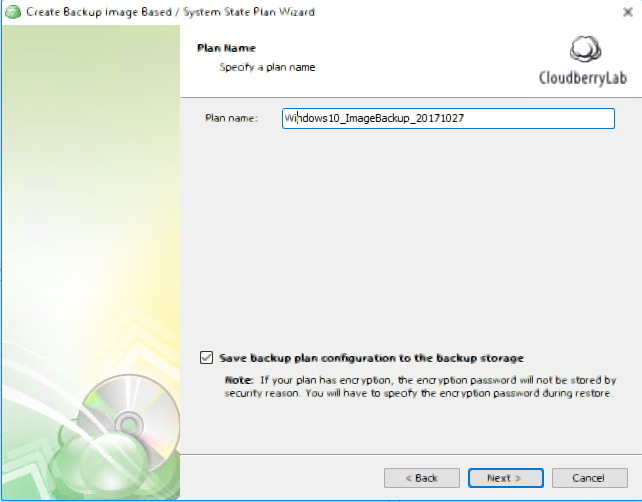 Today we are going to show you how to perform full system image backup Windows 10 using CloudBerry Backup. As you know, CloudBerry is a great backup solution that offers many backup features. 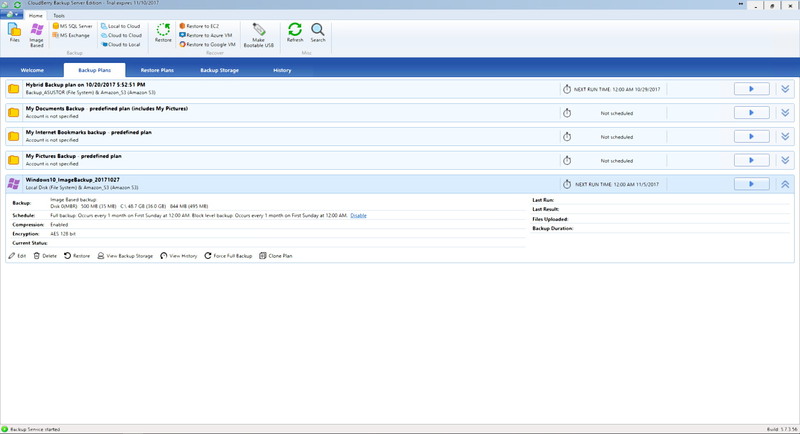 We can use CloudBerry to backup files and directories, system image, SQL Server databases, and also MS Exchange data. It also supports Hybird backup storage. We can store the backup locally, on the network shares and also cloud storage. 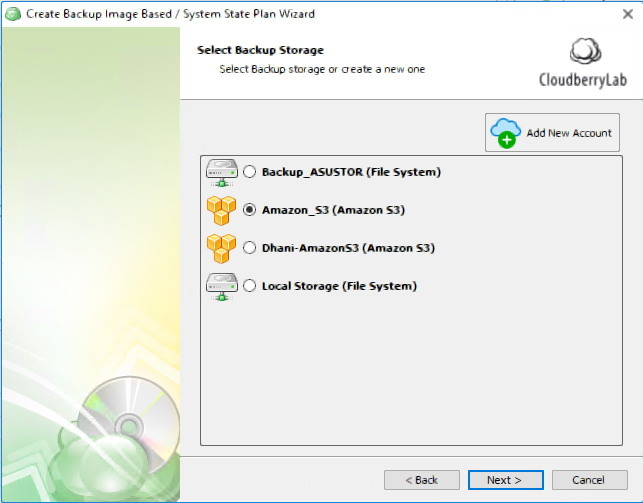 Cloudberry Backup supports more than 50 different cloud storage including Amazon S3, Google Drive, and many many more. 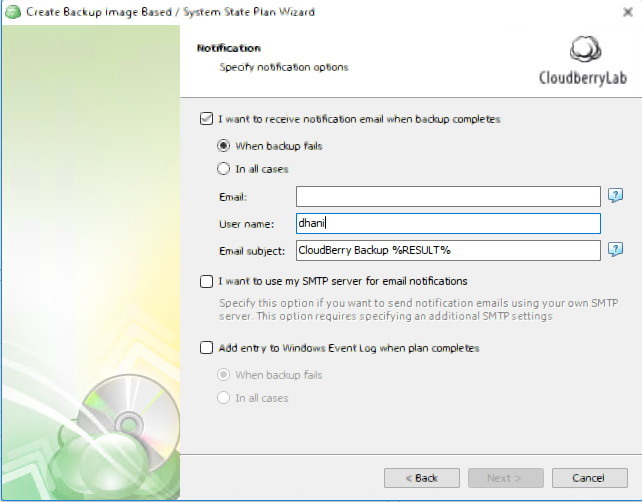 You can download the free trial version of CloudBerry Backup and then activate the server edition within the application. 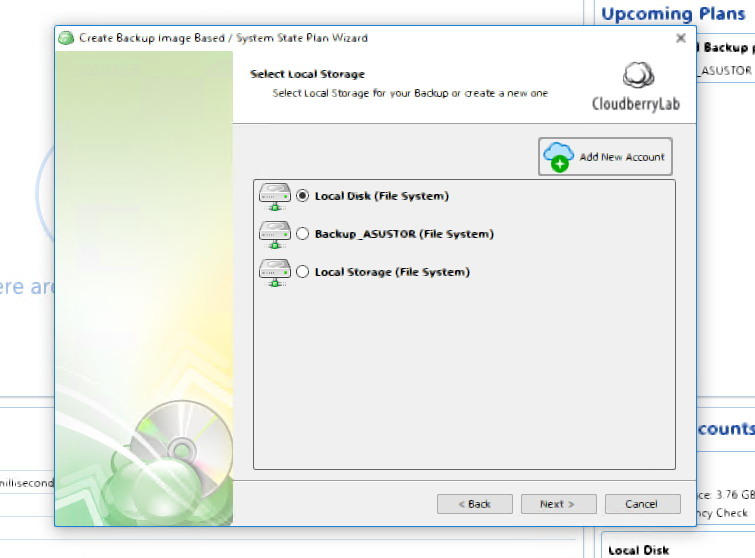 The Full System Image Backup only available in CloudBerry Server Edition. We can try for 14 days for free. We need to enable the backup service first. Right click on the bottom left of the CloudBerry main window and select Start service. 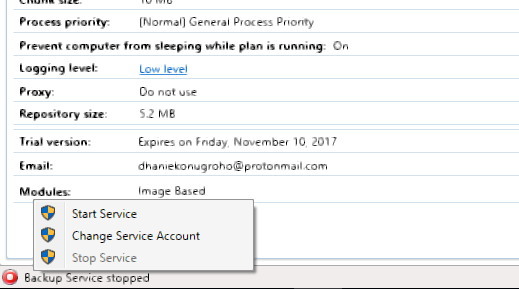 Click Image Based button on the main window. The backup plan wizard will open. 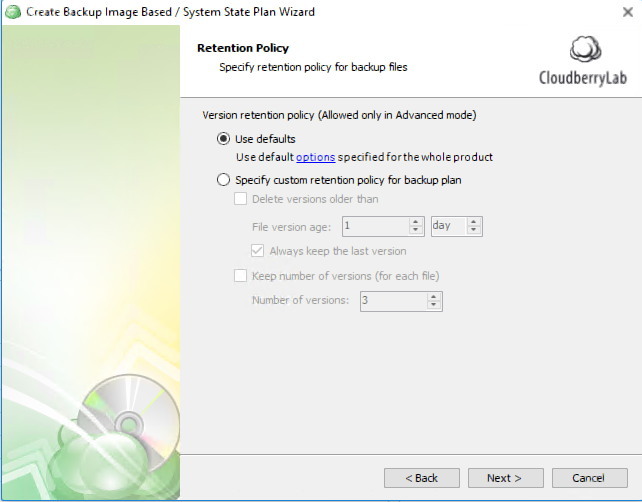 Select either Local/Cloud Backup or Hybrid Backup. 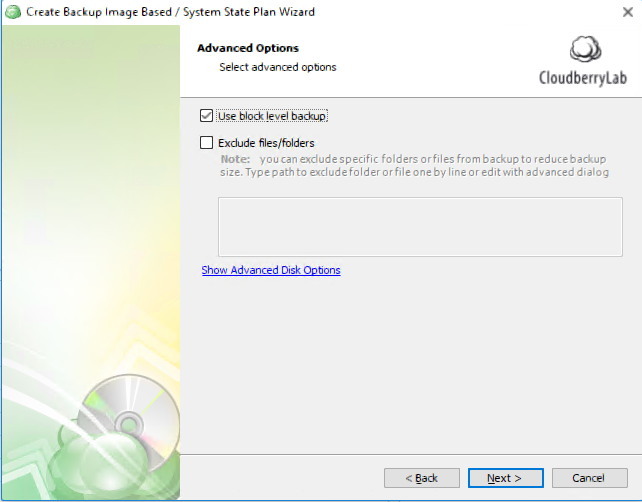 In this tutorial, I am going to use the Hybrid Backup. 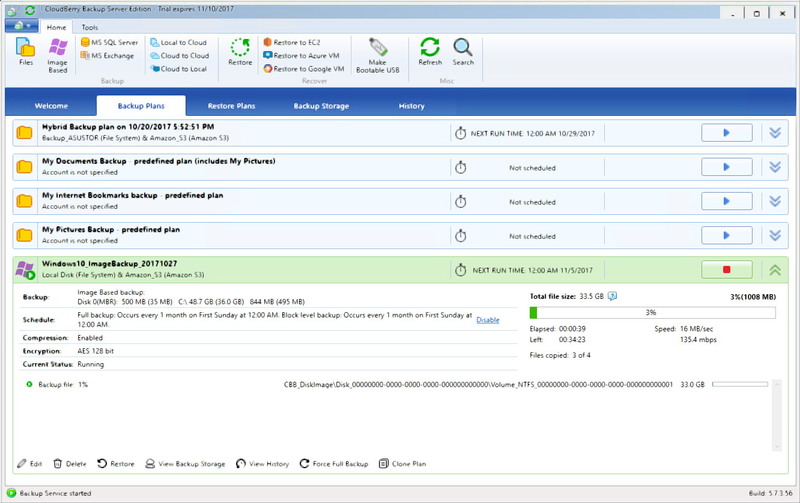 The Hybrid backup feature will backup our computer to local destination and also to cloud storage. In this example, I use my local disk to store my local backup. Click Add New Account on the next window to configure the cloud storage. You can choose from many different cloud storage services. I am going to use my Amazon S3 account. 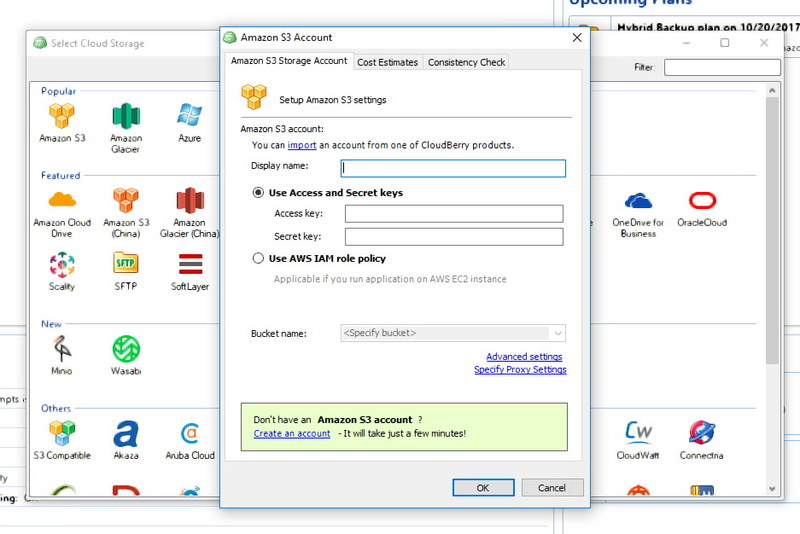 If you are planning to use Amazon S3, you will need to enter your access key and secret key. Also, you must select your preferred bucket. Now, our cloud storage is set. On the next step we need to label our backup plan. 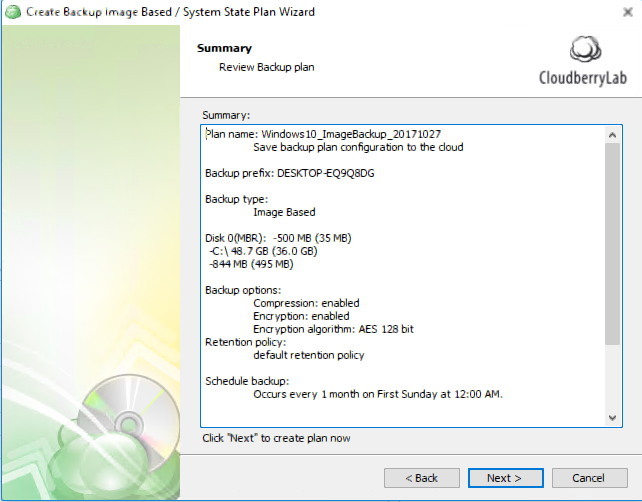 Give a clear and informative name about the full system image backup. On this step, we need to select which partitions to backup. There are three available options. If you just want to backup the OS and applications, we recommend to choose the first option. 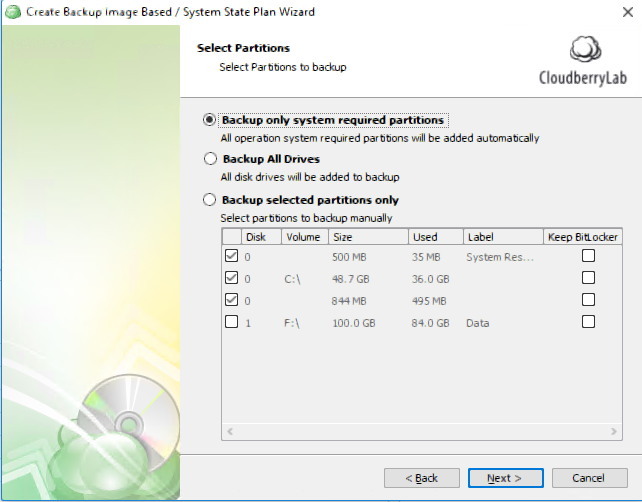 This will automatically select which partitions are needed. Next, specify some advanced settings. Enable block level backup on this page. Here we can specify and enable the compression and encryption feature. 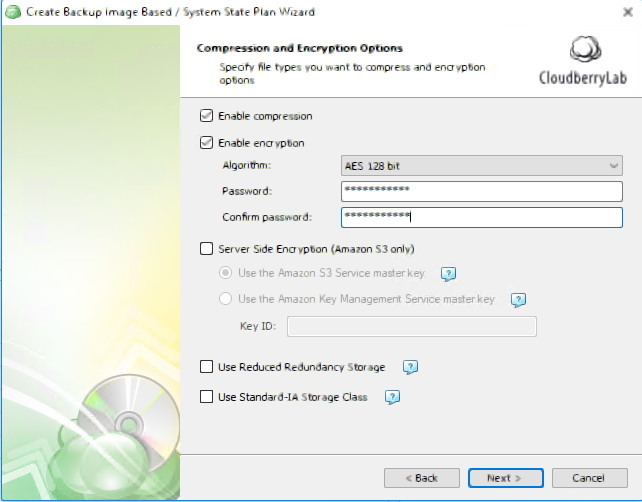 We highly recommend to enable the encryption feature if you want to put your backup in the cloud. Next, we can specify the retention policy. We can specify how many versions will be keep in the destination. 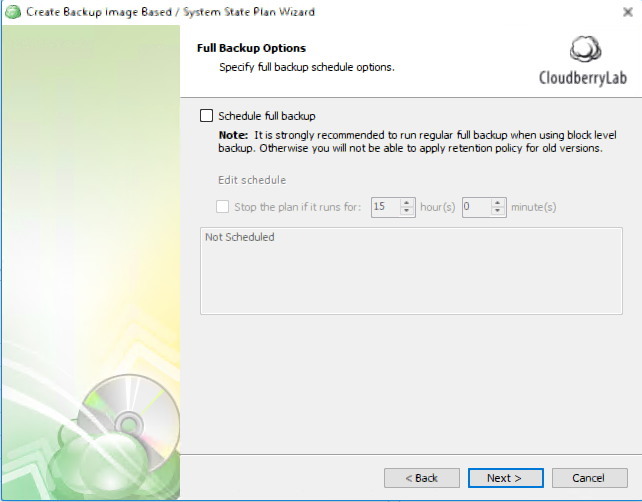 Another important step is to configure the backup schedule. We can decide if the backup will run once or in schedule. You can enable the notification feature. We recommend to use this feature so you will get any important notification regarding the backup process. Finally, review the backup plan before completing the wizard. Click Finish to close the wizard. Our new backup plan is visible on the Backup Plans tab. Click the blue play button to start the backup immediately. 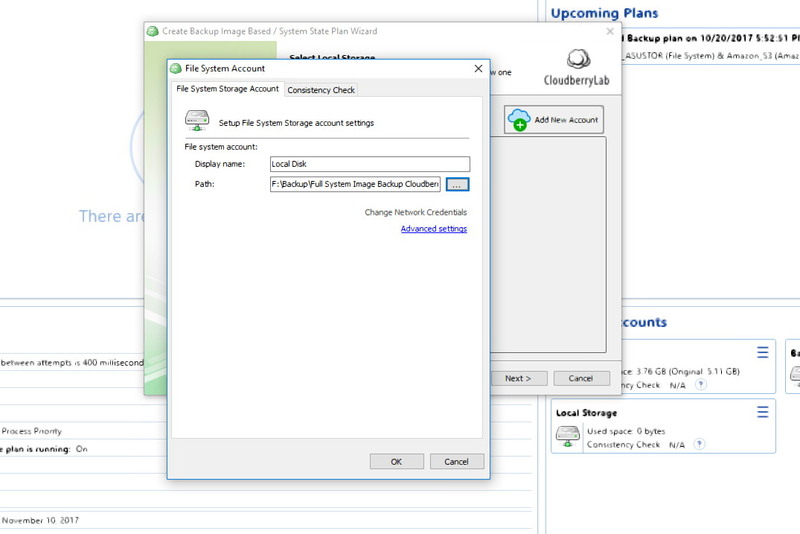 CloudBerry Backup is a great cloud backup solution for Windows users. 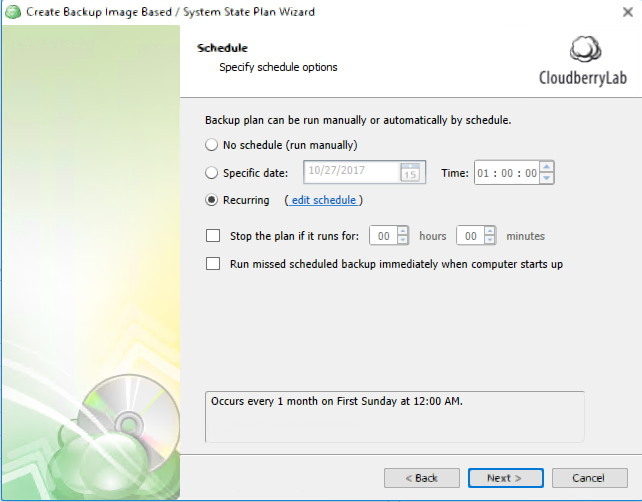 We can easily configure the full system image backup Windows 10 using CloudBerry Backup in just few minutes. 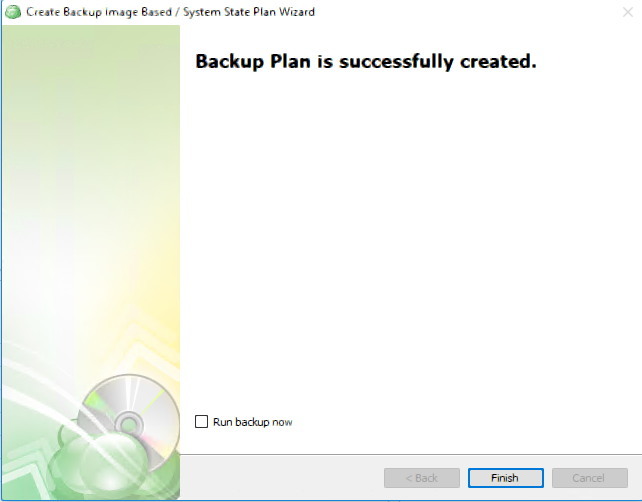 The backup can be run in a regular basis. 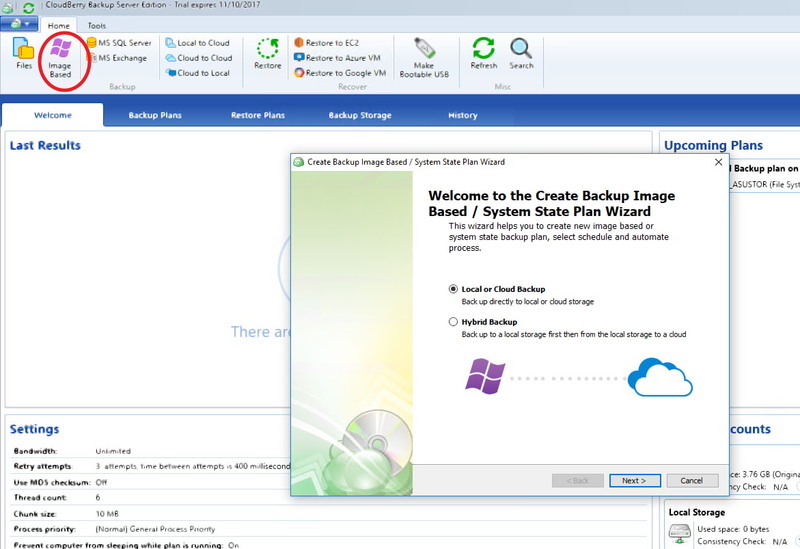 We love this backup software.